Often times we see the things that we want, and feel like we can’t get it. Maybe we have feelings of inadequacy or even feel that we aren’t deserving of all that we want. Or that it’s just not in arms reach and isn’t realistic enough to be ours. But allow me to let you in on a little secret….you can have it if you really want it. I learned a little late in the game too, so no worries if you weren’t aware :). Below are a few ways that’ll ensure that you get exactly what you want. That is, if you really want it. •Speak it into the atmosphere. What you put out, comes back to you. When you begin to speak things even though it’s not here as yet, you’re showing your faith. And with faith, all things are possible. •Believe it. You have to believe it for yourself. You have to believe that no matter what comes up against you, this thing is going to work out for you. •Claim it. After you’ve spoke it and start to believe it, already act as if it’s yours. Start walking in confidence, believing that it’s your season. Walk with boldness, declaring that you already have it. •Work for it. Nothing will happen if you don’t work for you. 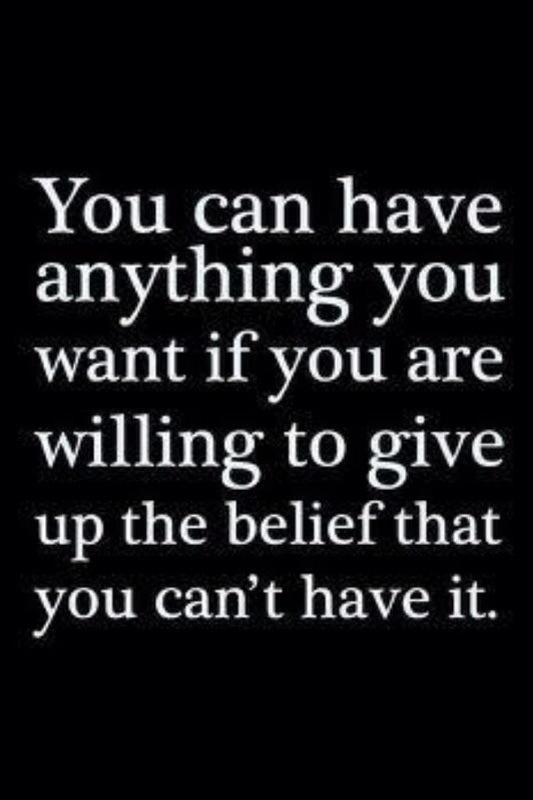 When you believe and claim it, it’ll push you to go even harder for exactly what you want. When you put in the work that’s required, you’re showing just how bad you want it. •Receive it. When it begins to manifest, welcome it. Don’t be surprised of feel that you’re not ready, just take it all in. After all that you put forth, you deserve it. Enjoy the fruit of your labor. No matter what it is that you desire, know that it’s possible to attain. That level of success that you hope to accomplish, know that you can reach it. All you have to do is want it bad enough. Speak it, believe it, claim it, work for it, and receive all that’s meant for you to have. You have to step out on faith, but trust you can get there!